All the following Service Dogs fields can be individual or combined with one another within the spectrum of skills of the Service Dog. Specific selection a particular breed, breed tendencies, aptitude of skill sets play significant part in finding the ideal canine for each intended recipient. 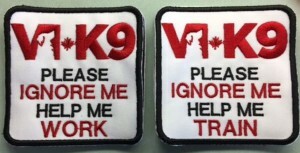 VI K9 through a Canada wide network of trainers maintains the highest quality of training of the dog, the handler and the pairing process to ensure that the recipient not only get a solidly trained dog but they get the post support needed throughout the integration process. 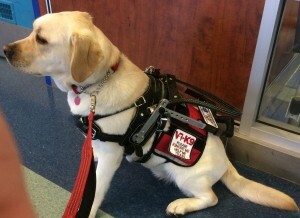 Service Dogs through this organization must pass a team test to achieve full certification and re-certification is required every 3 years. 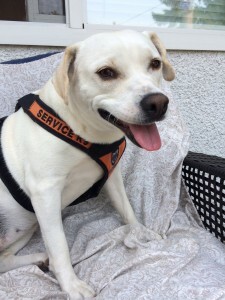 This is to ensure that the Service Dog is maintaining it`s skill sets already achieved; the team maintains very high standards and that any changes to the Service Dog`s skill sets can be identified to meet the changes of the needs of the human. In the near future VIK9 will be looking to expand our staff and adding more qualified dog trainers to work with our clients. We will be looking for qualified and experienced dog trainers that have a passion towards increasing their skills when it comes to service dog training and working with our clientele. 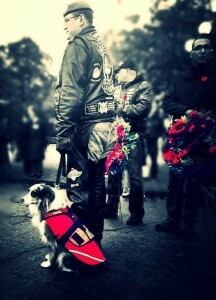 VI-K9 is proud to be a trainer under contract with Courageous Companions Canada. Providing Greater Victoria Area support for that charitable organization. * BC Requires a third party assessment for Certified Service Dogs (NON-ADI) to be recognized and therefore receiving BC Credentials. Teams that have conducted this through the network that VI K9 is a part of, have had no issues whatsoever in passing these assessments. It is our opinion that our standards go above and beyond that which is required to pass any assessment.